With my HO Scale Exhibition layout now mostly finished (except for about a million jobs on my to-do list, but what layout is ever finished, right? 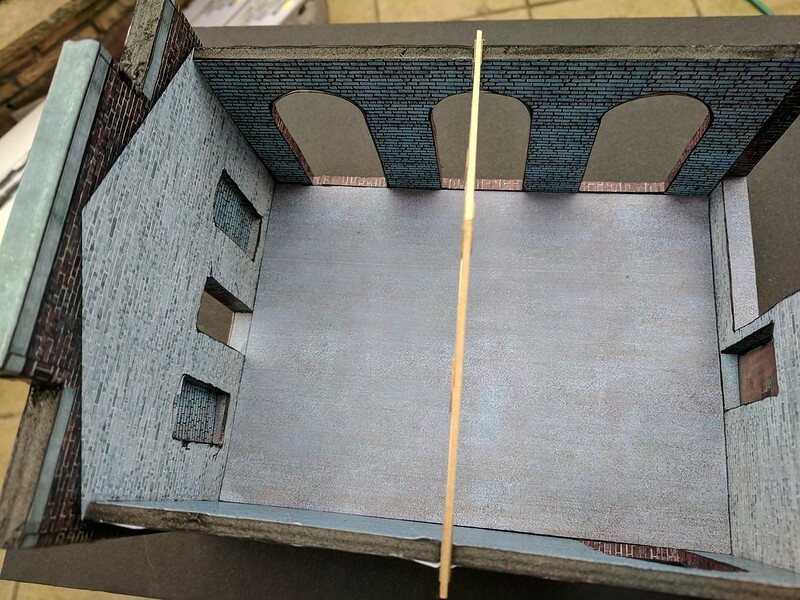 ), the attention of myself and my co-conspirator Ford has turned toward our next project, and the first truly 'joint' layout - this time making use of all that O scale stuff I've been hoarding for a few years. 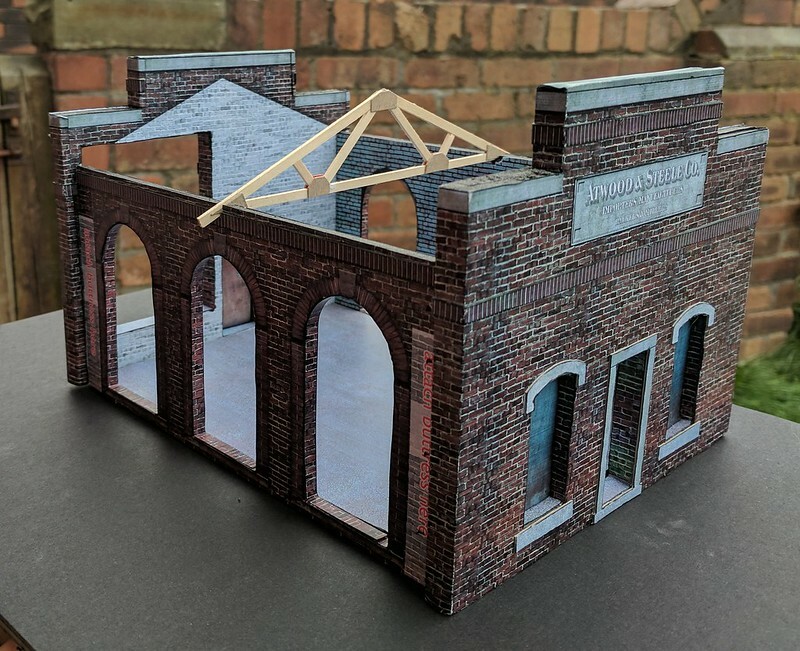 The working title of the layout is West Box Street (please someone help me think of something better! ), as a nod toward my previous layout, as well as the trackplan, which is a modified version of Shortliner's Box Street plan. The idea is yet again a heavily industrialised urban area somewhere in the South East of the USA. Georgia or Alabama, maybe? That's still to be decided on. This will need to be bulletproof before the first piece of wood is cut. A trackplan has been settled on, and thrown together in SCARM to check clearances. All track is going to be handbuilt, and will follow the "FUnitMad" approach of tracklaying for that added realism. The intention for the layout is to have full lighting, sound, and animated features, and Ford has even been kicking around the idea of an automated (or not) Day/Night cycle to make exhibitions even more interesting. 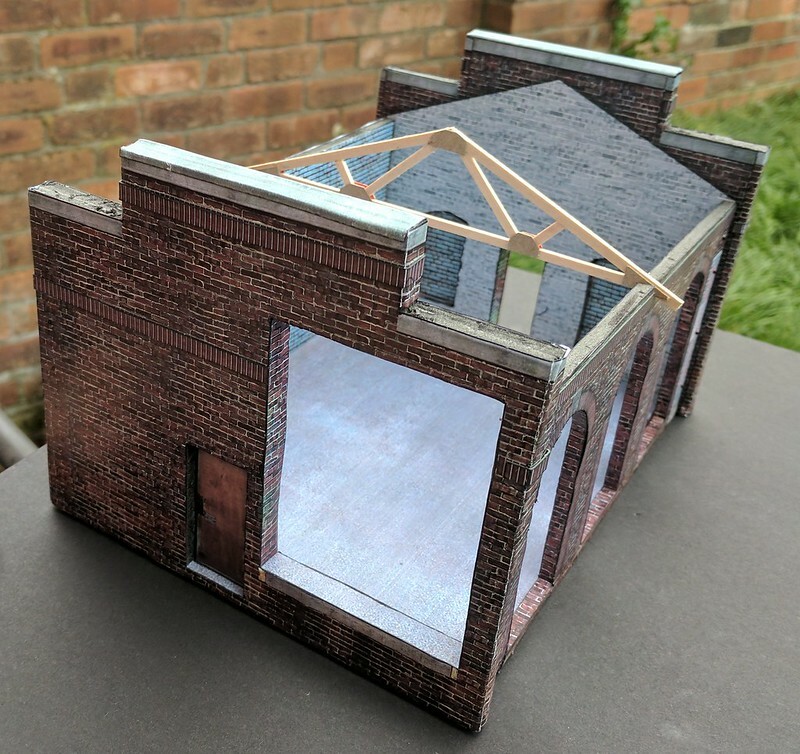 Whilst the actual construction of the layout is looking to be a while off yet, we've both started working on various other aspects of the build - I've begun work on rolling stock and structure projects, and Ford has been working on the lighting and using Arduino to animate doors, roller shutters, etc. I don't understand why 2 rail is so unpopular in the USA? 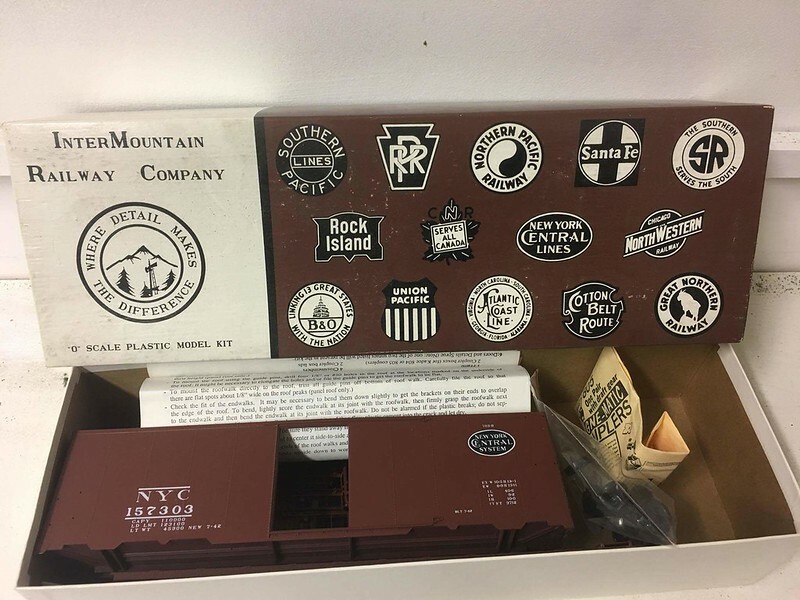 I mean, over here we have Hornby Dublo and the like (essentially Lionel type trains but in OO/HO scale), but that is mostly a forgotten medium outside of serious collectors. 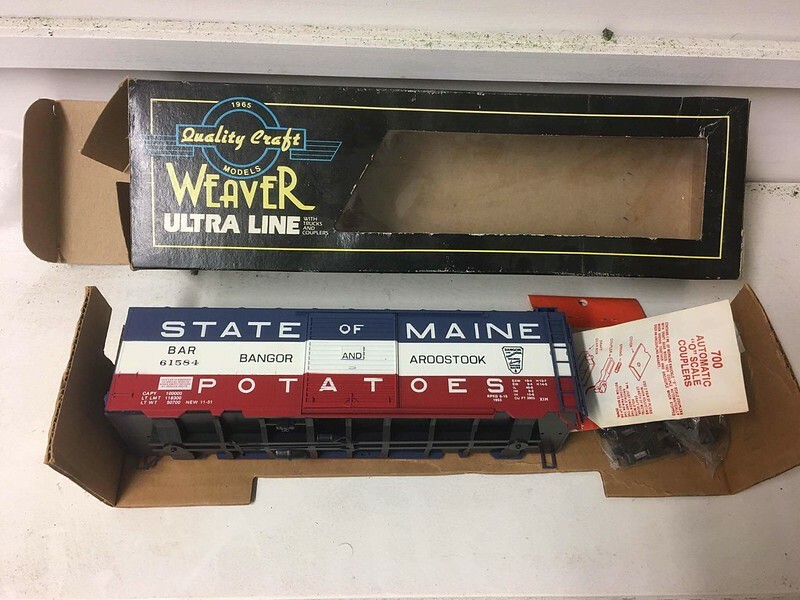 I don't see the appeal of the unrealistic looking trains you get in 3 rail O scale. 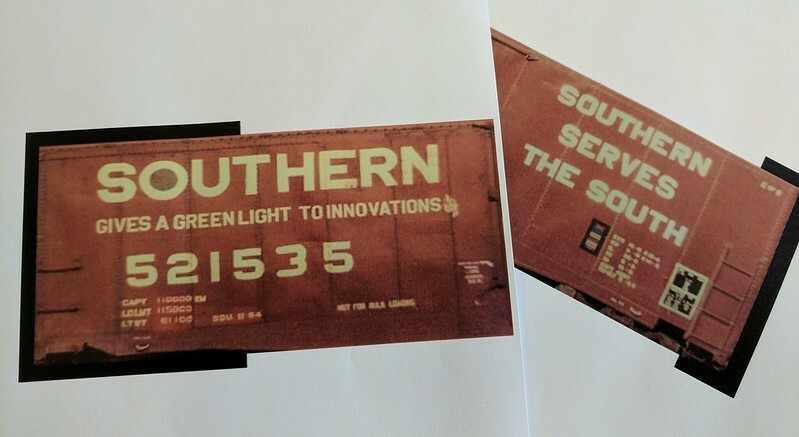 Last night showed a small amount of progress on the Southern boxcar. I'm not 100% on it at the moment, but I've just got to have faith and soldier on, once the definition is added to it, and it's weathered up, I think it'll look okay. The machine shop looks good. 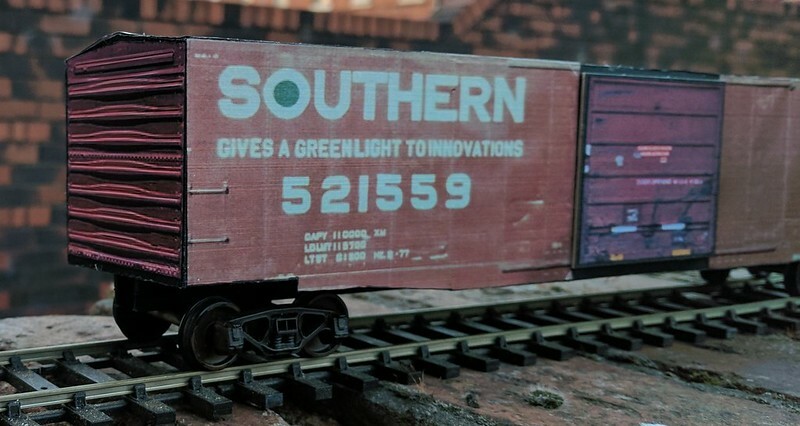 I'm impressed with the Southern box car! The Photoshop method worked out well for your car. I think the ends need a little work to flush up with the sides, maybe inset the ends a little or on the next car apply some joint compound to all the joints, allow to dry and the sand square before applying the photo walls. 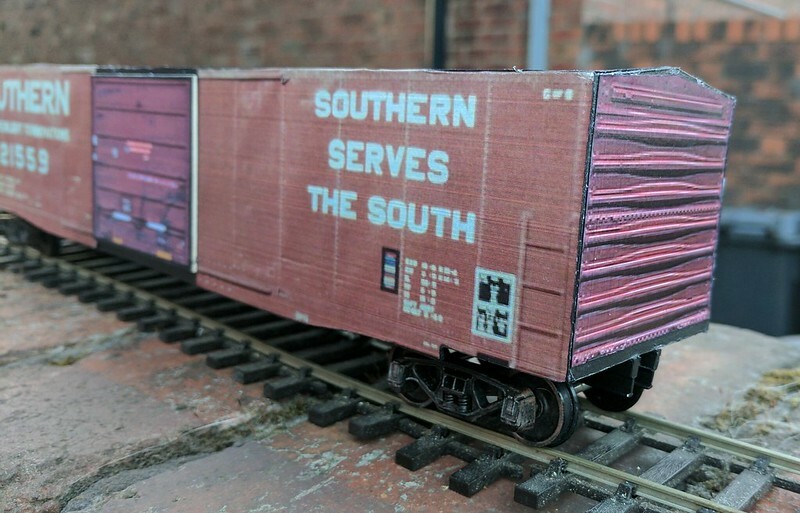 Your box car, as pointed out by Dave, just needs a few refinements, and it will look fine. Yeah, I goofed with the car ends. Not sure why the printout is slightly smaller than the car itself, as I set the image size to the exact measurements of the car end. I'll come back to that one once I've got to the point of embossing the ends of the cars. 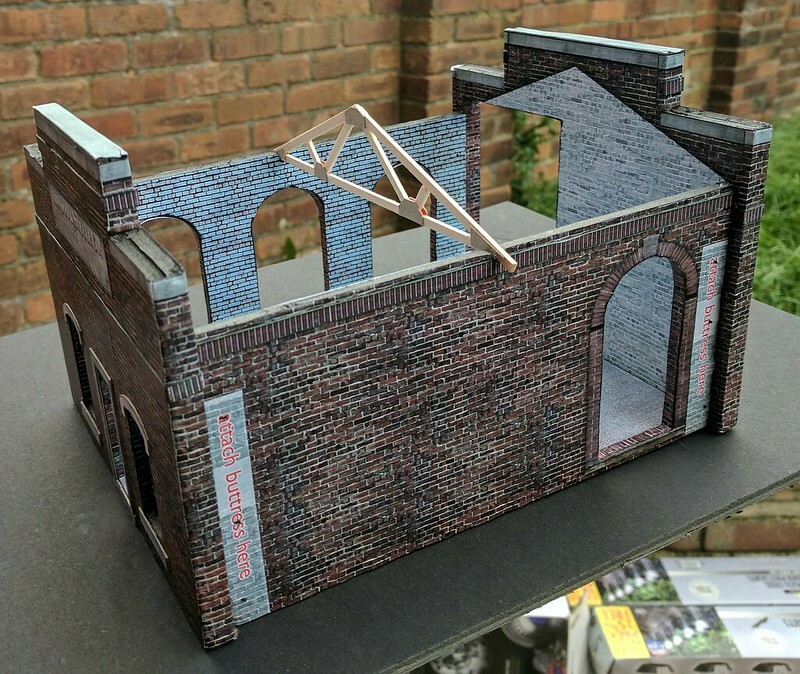 Sorry for the lack of updates to this thread, I've been working on my HO layout so I've not had the time to post my latest work on my O scale projects. 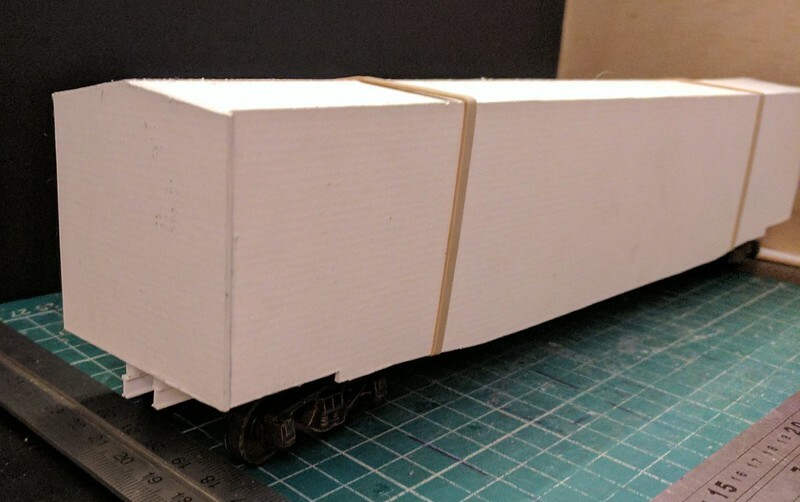 I've progressed the 50' boxcar some more; fitting the door runners, adding definition to the roof and starting work on the ladders. I've also developed the underframe, though that's not yet finished - it needs air tanks and other details. 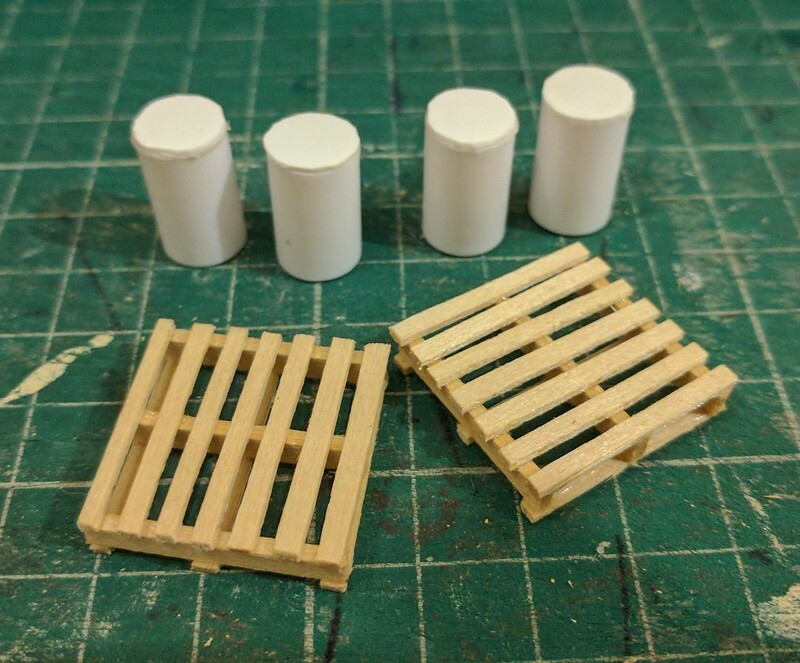 What I have done is start working on some pallets and oil drums to add to the inside to simulate a load. A lot more work to do there too. 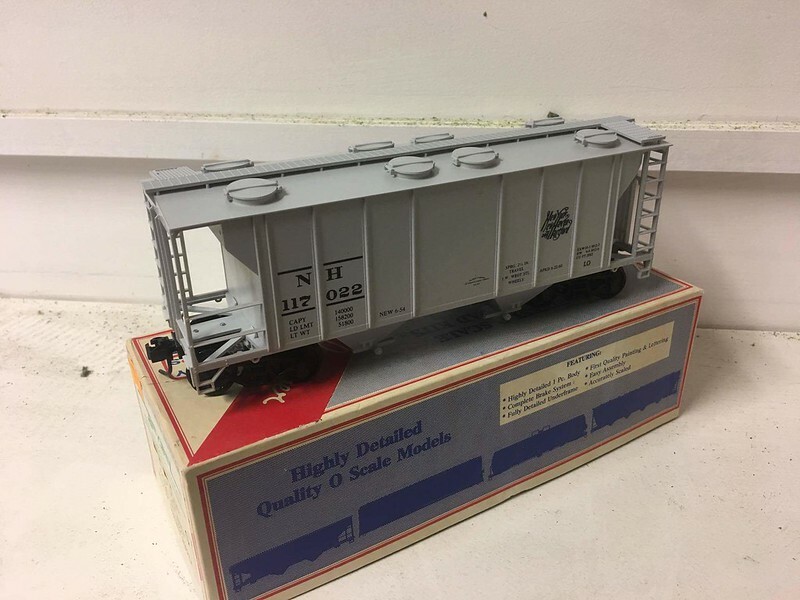 Finally, I started work on a Quality Craft Models kit of a bulkhead flat car. 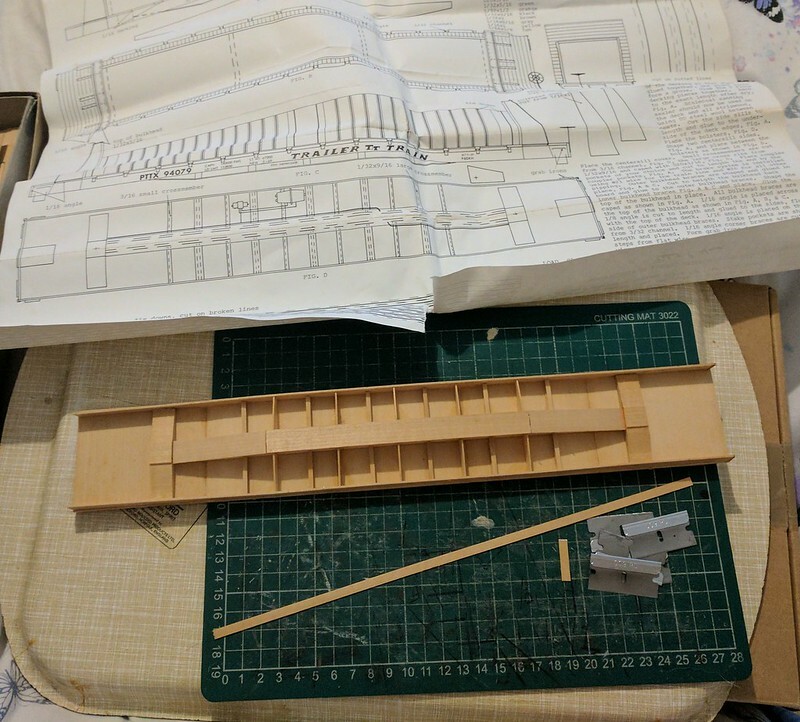 Having never built a freight car kit before, I'm really impressed with these wooden craftsman kits, and I'm enjoying the build so far. As usual, your new project is interesting in the direction you are taking and willingness to try something new. The building is fantastic of course and the boxcar is not far behind. 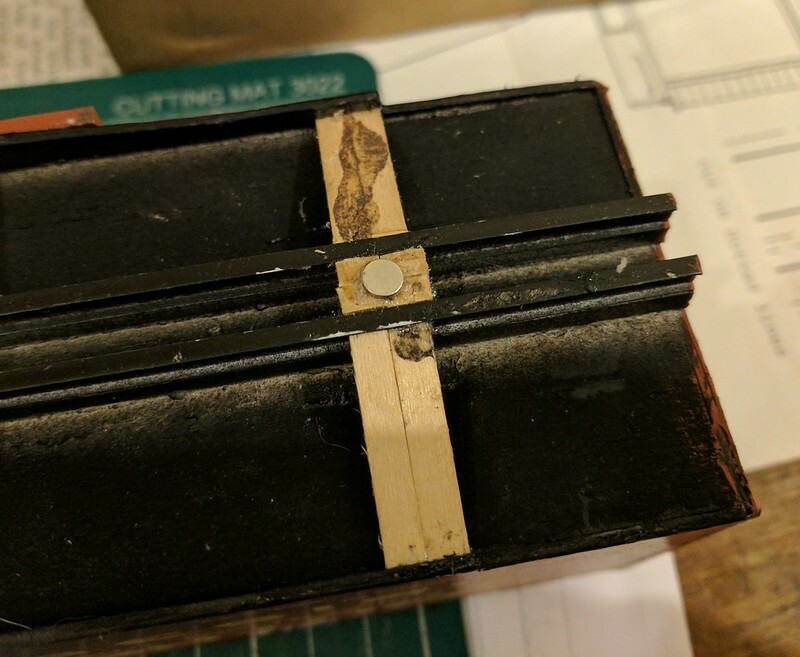 One critical area is gettng the edges sharp and straight; a problem there is that if an edge such as the roof extends beyond the body it is going to be vulnerable to damage during handling. I don't know what you are planning with respect to ladders and grabirons; however, that is one place where adding them will increase the realism but would require some photo manipulation to eliminate them from the image. The one problem I have with card is what to do about the edges. Coloring them appropriately requires a good supply of pens. You have inspired me to think about new directions and certainly going beyond the one free Metcalfe kit I've done. As you can see I don't clam to be a big expert in this direction and indeed I'm interested in learning from your approach. Thanks for the critique, I'm not sure what I'll do to combat it, but I'm hoping a spray of sealer will help sort that out. I'm sort of learning this as I go along, so I'm making mistakes as I go too! The grab irons will likely be staples, the ladders probably wire or rod. 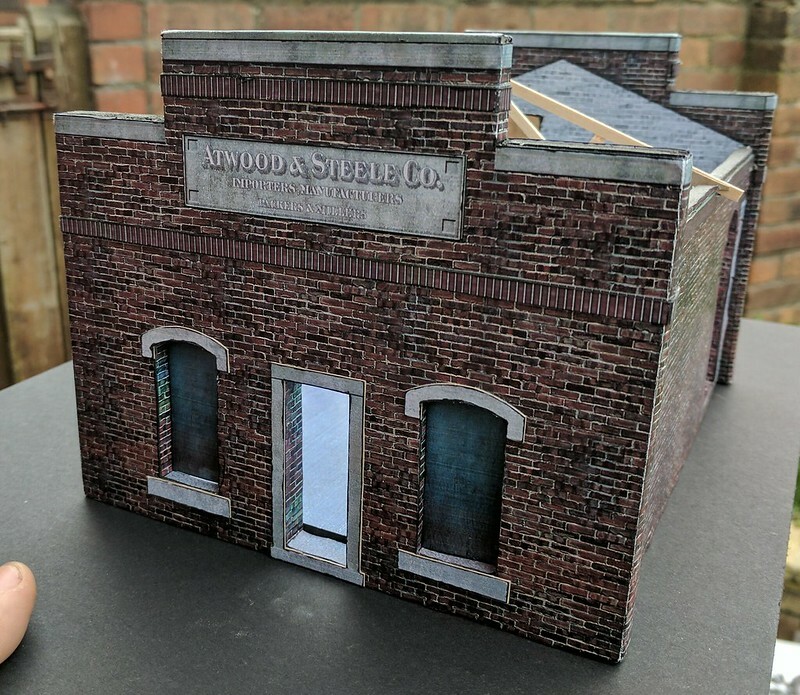 On this one, I'll likely paint out the printed ladders with a bit of brown paint, but I'll definitely edit them out in future. My sharpie supply is pretty extensive at the moment - there's a few places with them on offer for knock-down prices, so I've been stockpiling them. Not much of an update today, however I have both a progress report and a bit of news. After I took these photos, I've added some Kadee couplers to the car, and permanently attached the trucks. Hopefully there'll be some updated pictures later this weekend. Progress on Piedmont Blues has stalled temporarily, but the layout was always intended to be a slow burner, so we can get it 100% bulletproof from the get go. Lots of cool things on the horizon, for sure. If I can 3D print my own window frames, I'll be doing that too. The possibilities this opens up for us is simply massive. Dan, sure sounds very exciting'.. Looking to see how you make out'..
As I said above, you show a real "willingness to try something new." I think the 3-d printer provides you opportunity to accomplish what I perceive to be your personal goals. Just a quick tweak to the layout for anyone who has been following it, I've decided to set the layout in 1965 rather than the 1970's. The reason is threefold. Firstly, I always set my layouts in the 1970's, so thought I'd shake things up a bit. 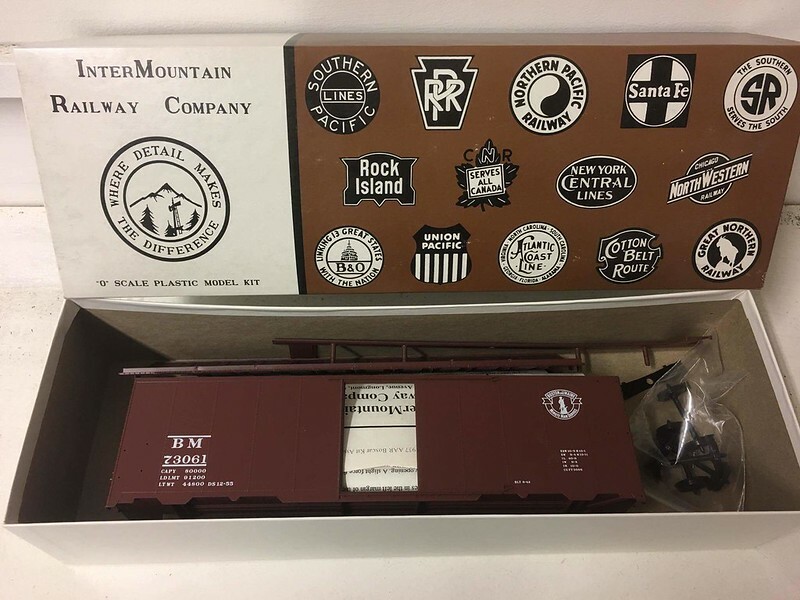 Secondly, I want to use all the 40' cars I've collected over the last month (approx 8 boxcars and three shorty covered hoppers). 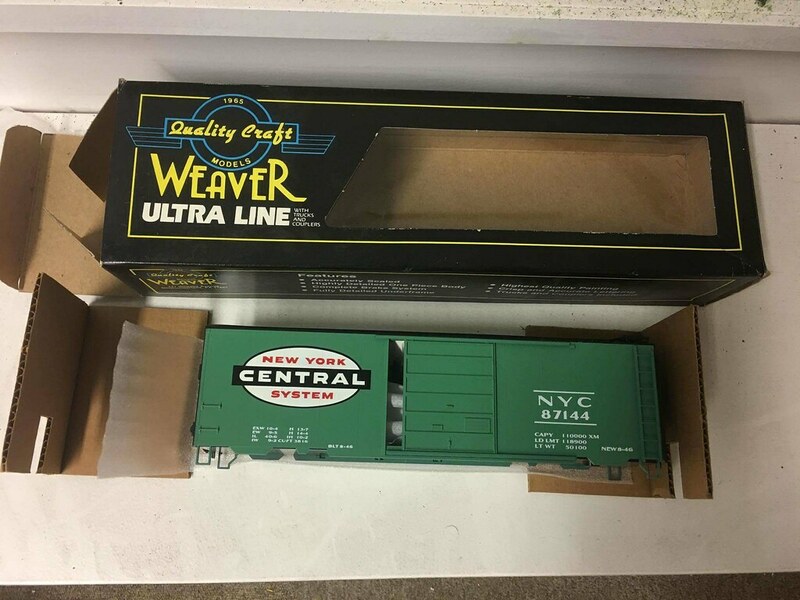 Today, I've been working on a Weaver kit of a NYC 40ft boxcar I got from Neil at The Little Layout Company. After assembling the kit, I gave it a blast of dulcote equivalent, then faded the car with a wash of watered down acrylic paint - a mix that was slightly whiter than the stock NYC Century Green scheme. Once this was dry the car got another blast of dulcote - in fact, it gets one after every layer of work is finished. I then added a wash of brown in places to give a base layer for the weathering. After this, the dirt was built up using various blends of black, brown, orange and red pastel powders. Once I was happy with the result, I sealed it with dulcote, then gave the whole car side a application of white pastel powder to tone the whole car down. Next, scratches and dings were added using brown acrylic paint, working as always from the prototype photographs.. Finally, for now, the scratches were all haloed using burnt sienna oil paint in a very light application. After this, rust streaks were added in a similar manner. Dab on a little paint at the main point of concentration on the real car, then repeatedly drag the paint down the car side to create streaks. On some cars, less rust is more'... ...just my HO'..